Long before it was discovered by those fancy juice bars in the west, the clover-like herb known as Pennywort has been known by Asian cultures for its health benefits. 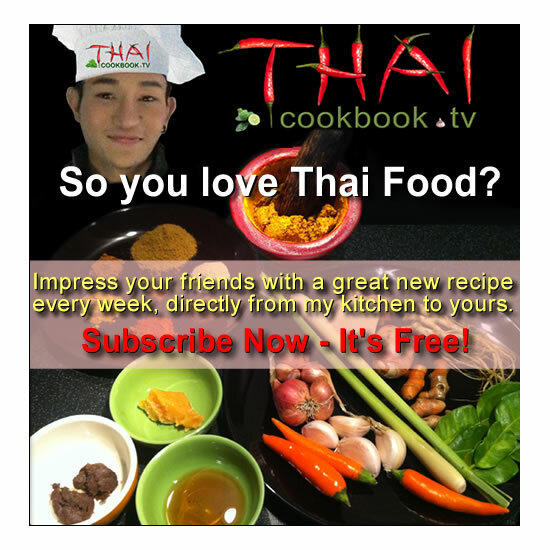 In Thailand we eat the herb raw as a salad ingredient, in soups and stir-fries, and we make a delicious sweet drink from the juice. The flavor of the plain juice is strong and grassy tasting, so we tone it down with water and sugar to make our drink known as Nam Bai Bua Bok. It's delicious! 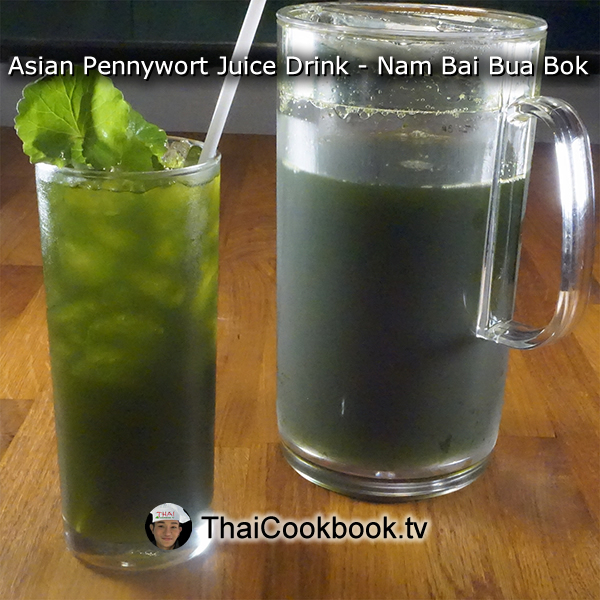 What's in our Asian Pennywort Juice Drink. 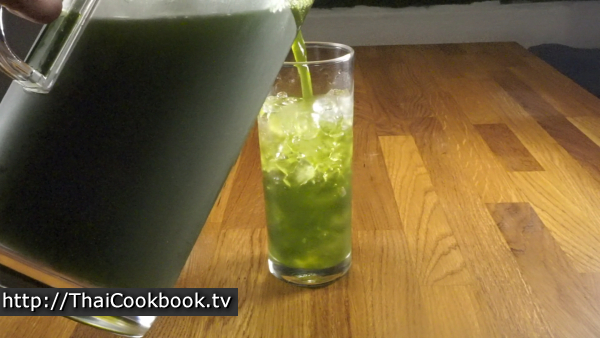 How we make our Asian Pennywort Juice Drink. 1) Boil 1 liter of water, then dissolve the sugar to make sugar water. Allow it to cool completely. 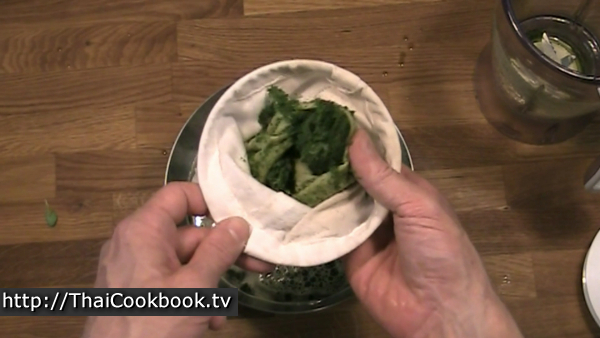 2) Using a blender, blend the pennywort leaves and stems with 1 liter of water until smooth. 3) Pour the blended herb juice through a strainer to remove any stems and fibers, then mix the juice with the sugar water. Refrigerate until very cold. 4) Serve over crushed ice. 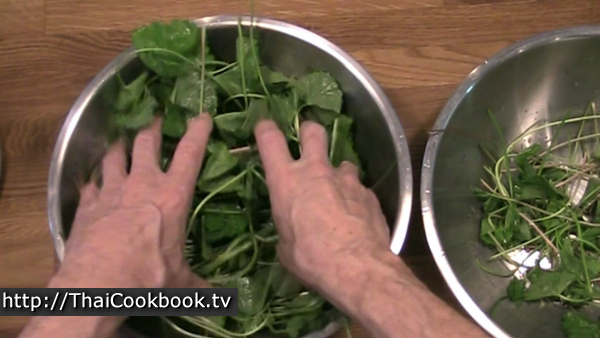 Select a nice fresh bunch of Pennywort with both stems and leaves. 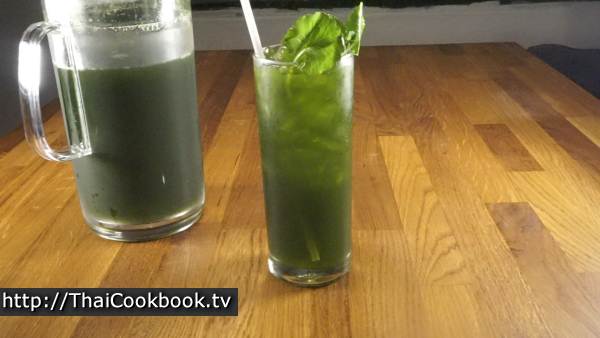 Use about 1/3 kilo of the herb, but that depends on how strong you want the drink. 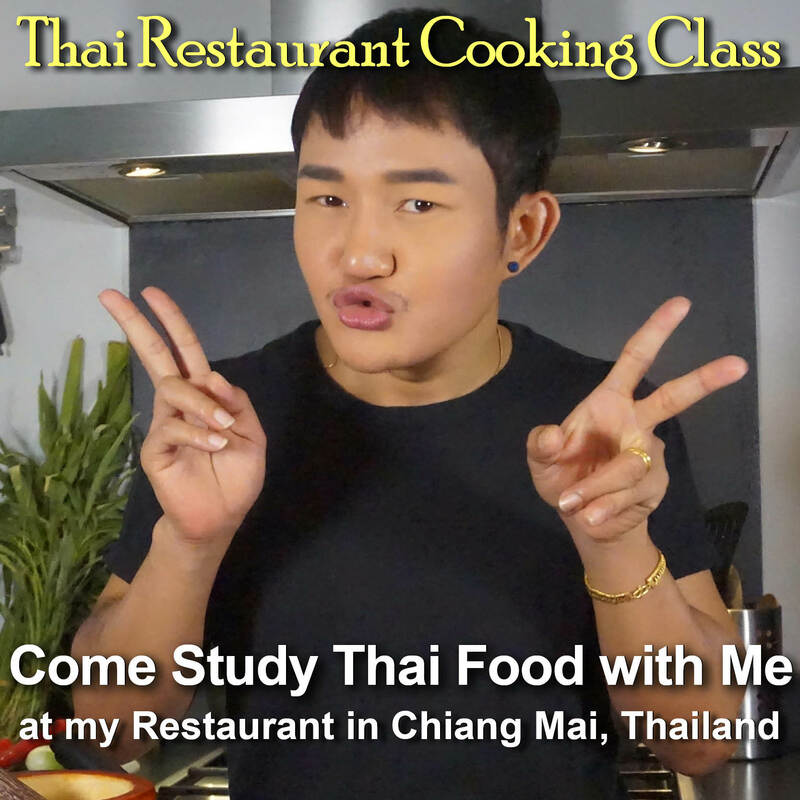 I use a lot of sugar so it is very sweet, as that's they way most Thai people like it. You can use less sugar, or even none. 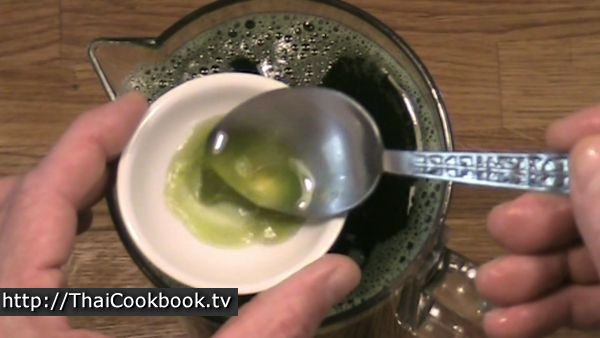 Bai Bua Bok has a strong grassy flavor, so most people prefer it sweetened. Heat 1 liter of water to boiling, add the sugar and stir until dissolved. Allow the sugar water to cool completely. Wash the herb and remove any dead brown ones and also remove any foreign matter that you find. 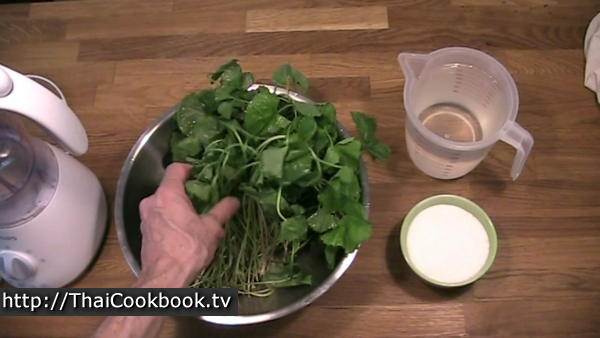 Put 1 liter of water in your blender, then pack as much of the herb as you can in. 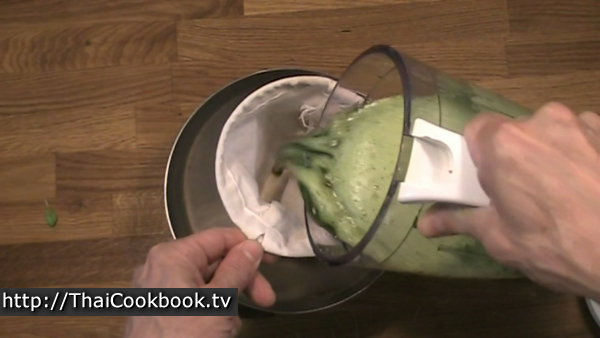 If it is too tightly packed, then the blender might not spin, but that depends on the machine that you have. 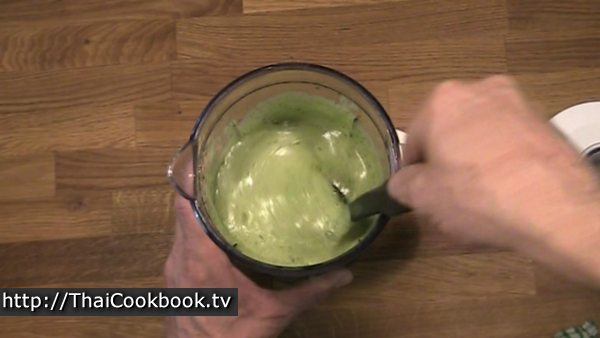 Blend on high until the herb is completely pulverized and you have a frothy green sludge with very small pieces of stems, etc. Pour the mixture through a cloth tea strainer or very tight metal strainer. Squeeze out all the juice and you should be left with just a few fibers. 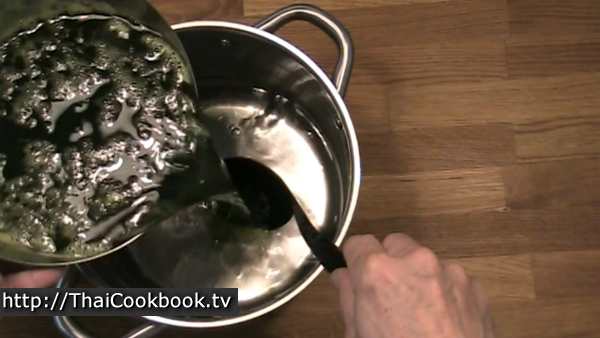 Be sure the sugar water is not hot, then pour the juice in and stir up well. Transfer to a serving pitcher, bottle, or other container with a lid. 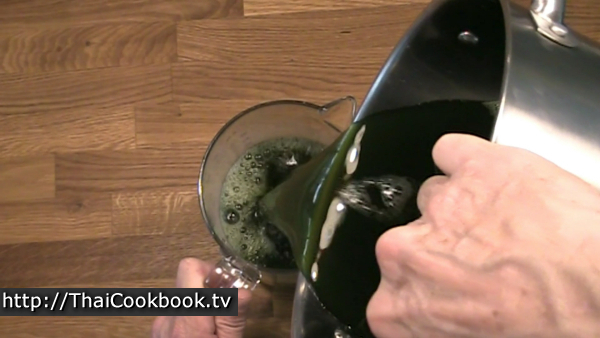 The drink should be dark green and slightly opaque. Refrigerate until very cold. 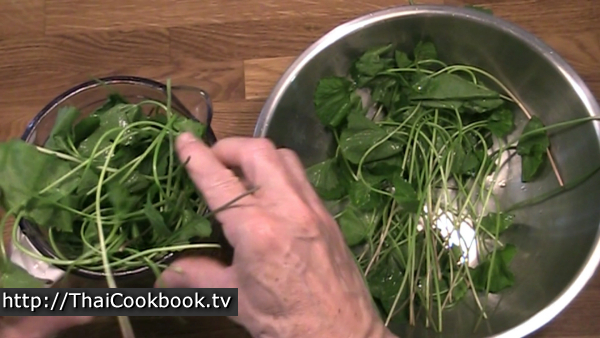 Add a few pennywort leaves to the glass as a garnish.